Cape Town - According to reports, Mamelodi Sundowns have been found guilty of fielding an ineligible player against Bidvest Wits and face a possible points deduction. SowetanLive reported that the Premier Soccer League (PSL) Disciplinary Committee has found Sundowns guilty of fielding Wayne Arendse in a 1-1 draw against Wits on October 7, 2018. PSL prosecutor Nande Becker explained why there had been a delay and confirmed a verdict had been released to the PSL for official communication. "It was a complicated matter in a sense that the argument raised by Sundowns was one that required some consideration," Becker said. "I can tell you now that the Arendse matter is a 20-page judgment and that is substantial." Speaking after his side's goalless draw against Orlando Pirates on Monday night, head coach Pitso Mosimane questioned why the case has been dragging on. "It's taking too long," Mosimane said. "I don't know whether they are going to take a point because we drew or give Wits three points in a match that they didn't win. "A verdict will probably arrive two matches before the league finishes, so it's a reality." Sundowns were charged on February 4 by the PSL with an immediate threat of a points deduction on the cards after similar cases ended with a sanction. 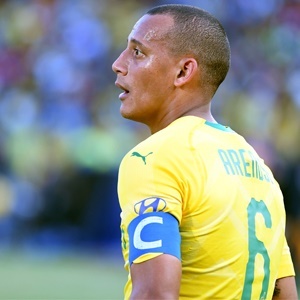 "Mamelodi Sundowns have been charged with contravening Rule 16.3.2 of the NSL Handbook after they allegedly fielded an ineligible player, Wayne Arendse, against Bidvest Wits during their Absa Premiership fixture on October 7, 2018," the PSL said. In the referenced fixture, a 1-1 draw between the two sides at the Lucas Moripe Stadium Arendse was not included in the original match-day squad but later was drafted into the starting line-up after a late injury. In a similar case, Ajax Cape Town were punished for fielding an ineligible Tendai Ndoro and as a result were relegated to the National First Division (NFD). As punishment, Ajax forfeited three matches and were fined R50 000 for each match - against Platinum Stars, Polokwane City and SuperSport United - by a scoreline of 3-0. Masandawana are now likely to face a similar sanction and fine - with the points to be awarded to title rivals, Wits - which could be a deciding factor in the title race. In a similar case Sundowns were found guilty of fielding an ineligible player Thabang Sibanyoni during their MultiChoice Diski Challenge match against Chippa United also in December 2016. The match was awarded to opponents Chippa United with a 3-0 score, with the player receiving a one match suspension. Sundowns fielded Sibanyoni in the MultiChoice Diski Challenge fixture despite the player having accumulated four yellow cards and the match was awarded to Chippa with a 3-0 score. Sundowns were also deducted one point and Sibanyoni was suspended for an additional match. Sundowns would lose the 1 point they gained from the 1-1 draw with Wits then gaining an additional 2 points.